It's never a pleasant concert experience when you're forced to watch the show through the cellphone screen of the person in front of you. As it's known to be with Maynard James Keenan-fronted groups, using a phone during the show is a serious faux pas and will likely get you thrown out of the venue. The policy has been implemented for A Perfect Circle's current North American tour, with the band having taken steps to tape signs warning of photo and videotaping ejections to the backs of venue seats. As Blabbermouth reports [via The Pulse of Radio], upwards of 60 attendees were tossed out of the band's performance in Reading, PA, last Saturday (November 4). No. Recording. Of. Any. Kind. For. 25. Years. Guided experience. Unplug and and enjoy the ride. It's not bad advice for this current day and age. 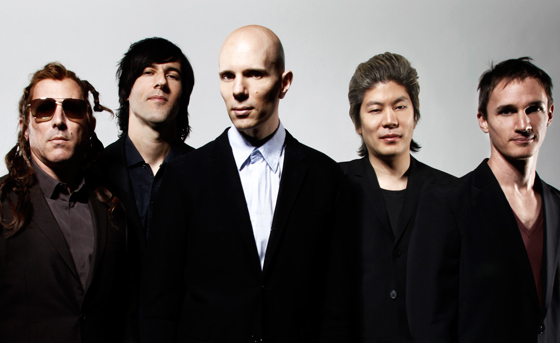 You can find further information on A Perfect Circle's North American tour here. A new album from the group could also arrive next year.